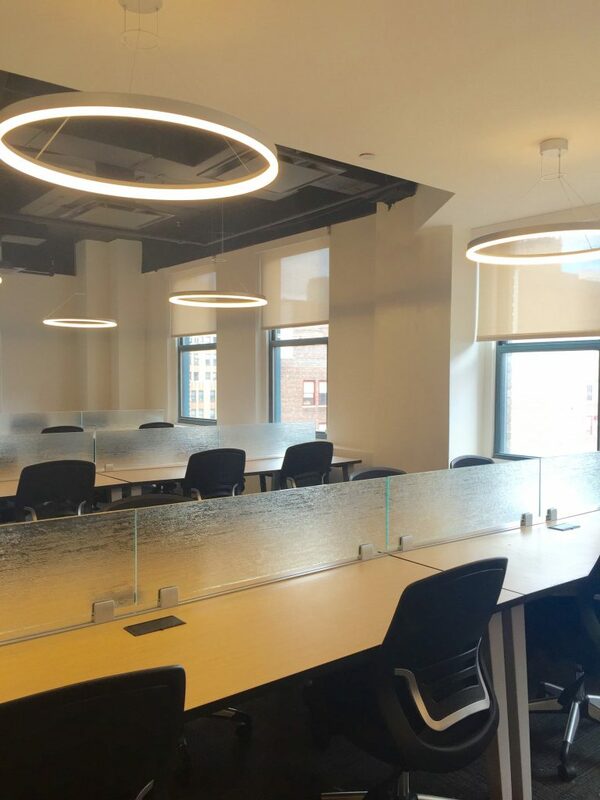 [caption id="attachment_1482" align="aligncenter" width="640"] The New CoWorking Space At Corporate Suites Business Centers - 2 Park Avenue NYC[/caption] 30% of the working population in the United States is already un-tethered from the corporate world, and it is predicted that this number will rise to 40-60% of the workforce by the year 2020. So in merely the next 5 years, a significant percentage of the workforce will be freelancers, temps, independent workers, or entrepreneurs. This major shift in the workforce paradigm poses some important questions, one of which is – where do the people that have left their corporate offices go to do work? For quite some time, the only options were working out of your basement or going to a nearby Starbucks. I’m sure you don’t need me to tell you how much that can limit your growth as a business. This is precisely where CoWorking Spaces come in to the picture. CoWorking Spaces were designed to bridge the gap between the traditional corporate workspace and working from home or out of a café. SO – what does a CoWorking Space offer that cannot be found at home, a café, or a traditional office? 1) A low-cost alternative to traditional office space – an office in NYC can cost you thousands of dollars a month, you can rent a desk for just a few hundred dollars instead. This also allows you to grow your company without moving offices and paying for additional office space for every person that joins your company. 2) It offers you a professional presence – you will work in a professional setting in prime NYC locations with experienced front desk staff, on-demand private meeting rooms, training rooms, and presentation space, and have access to secure high speed internet. 3) The opportunity to be part of a community – you will work in a productive workspace environment where you can collaborate with like-minded people who will share their experiences and expertise with you, as well as, provide invaluable peer support for you and your business. (You never know who you’ll meet - network, network, network!) 4) Flexible office space solutions – work whenever you want without being tied down to one office location. If you travel a lot, you can cowork anywhere in the world. 5) Better work-life balance and overall satisfaction – People who have switched to coworking report a healthier lifestyle, better work-life balance, better focus, increase in creativity, increase in confidence, improved standards of work, and better peer interactions. CoWork. Collaborate. Create. The opportunities are endless! Book a tour today to see if CoWorking is the right choice for you.